I am always disappointed by the lack of knitting books in some of the bookstores I go to. However, today I saw one that caught my eye! 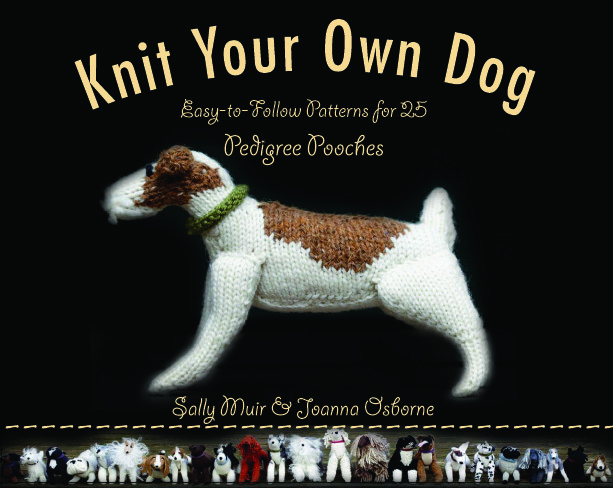 The book is called, Knit Your Own Dog, by Sally Muir & Joanna Osborne. I skimmed through the book and loved the photography! I was also amazed by how realistic some of those knitted dogs looked! For those cat lovers out there, there’s also a book called, Knit Your Own Cat by the same authors. I didn’t end up buying the book but maybe I will in the future :) The bulldog in the book was SUPER cute so I might knit it one day and my real dog can play with it.